Mrs. M’s Free Patterns: Bead Crochet Click on the pattern name beneath each photo and be magically whisked to that tutorial. It’s easy enough to do single chain wire crochet jewelry (see past tutorial links below). The most popular way is to make 3 strands and then braid it. But you don’t have to do it like that. 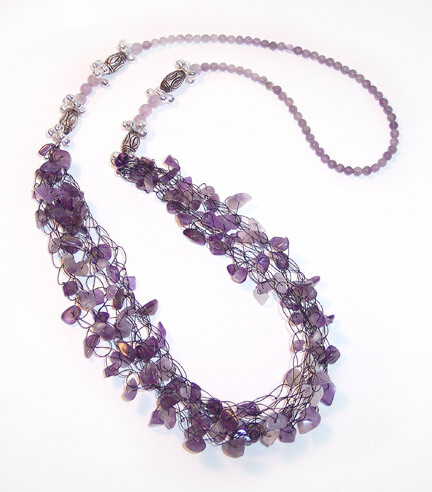 Cyndi Lavin over at Beading Arts has a few crochet wire necklace tutorials that will surely make you think differently! After some beadweaving, it was finally time to do some bead crocheting instead. So here I am with two bracelets – one with the rose pattern, matching the necklace from this post, and another one, more geometric. The first one is a bit wider, 25 beads per row, while the second one is made with only 20 beads. Both are flattened, as this is the way that I like wearing them. Also, both are made entirely with Toho size 11 seed beads. 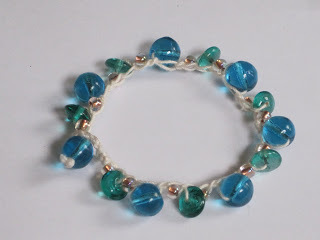 I discovered a whole new world of jewelry making with crocheted beads. Once, in the middle of a project, I realized I had ran out of a specific color of wooden beads. Not wanting to stop I simply crocheted some beads in the color I needed. And the world changed in a blink. So without further ado here’s how to make your own crocheted beads. 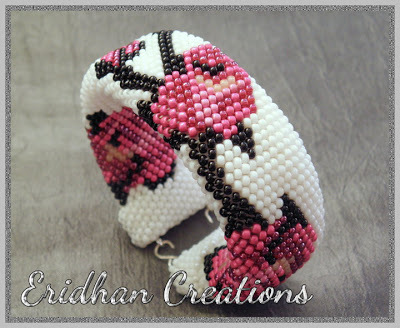 Bead crochet inspiration and examples. Beading, Make Beaded Necklaces. Video for the Visually Impaired. Enable Closed Captions (CC) to enhance this video.